NDA Question Papers 2019 – NDA aspirants must solve previous years' question papers to get an idea regarding the type of questions asked in the exam. Besides, NDA question papers will also help candidates to know difficulty level, section-wise weightage of topics etc. Candidates should solve NDA 2019 question papers regularly after completing the syllabus. Solving previous years NDA question papers will aid candidates to improve their question-solving skills and accuracy. NDA question papers 2019 are provided here. Candidates can download NDA question papers to prepare for the exam. NDA 2019 exam was conducted on April 21 in pen and paper mode. The test comprises two subjects – Mathematics and General Ability Test (GAT). There were a total of 120 questions from Mathematics section while GAT section contains 150 questions. Total marks allotted for written exam is 900. Read below for more details on NDA 2019 question papers. Latest: NDA Answer key 2019 (Unofficial) Released! Candidates will become familiar with the exam pattern of NDA by solving the question papers of NDA. Applicants will be better acquainted with the sections, topics and units of the question paper. Candidates will understand the difficulty level of the written exam by solving NDA question papers. By solving previous years’ question papers, they will know their extent of preparation level for the exam. Candidates can know the units and topics they are weak at by solving question papers. Candidates will become efficient at managing time with the help of previous years’ question papers. Solving NDA previous year question papers will help candidates improve their performance in NDA (1) 2019. As per the marking scheme prescribed by the Union Public Service Commission, candidates will get 2.5 marks for every correct response in Mathematics paper while 4 marks will be awarded for each right answer in GAT. In case of incorrect responses, 1/3 of the marks assigned for a particular question will be deducted. 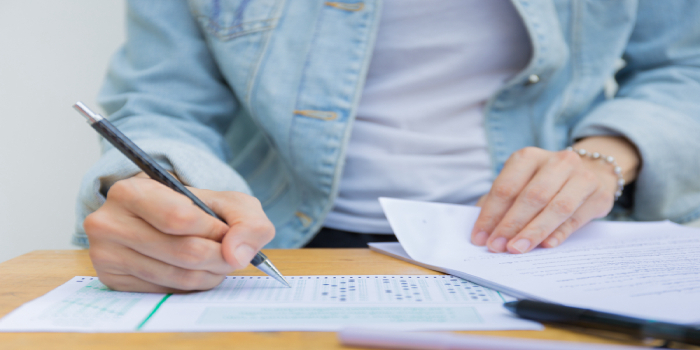 Candidates providing more that one answer for a quested will be treated as incorrect answer and therefore, marks will be deducted for such answers. Does we have to qualify separately in Part-A and Part-B of GAT in NDA ?? Your NDA brochure has been successfully mailed to your registered email id .